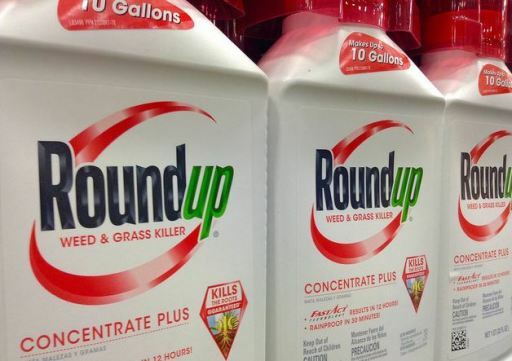 SAN FRANCISCO (CN) – A San Francisco jury on Friday found that Monsanto must pay $250 million in punitive damages to a school groundskeeper because its Roundup weed killer caused his fatal lymphoma, the first such verdict against the agrochemical giant. The 12-member unanimous jury also awarded plaintiff Dewayne Johnson $39.2 million in compensatory damages, finding Monsanto chose not to warn him that Roundup can cause cancer. Johnson, seated next to his attorneys, kept his head bowed as the verdict was read. Several jury members attempted to hold back tears. Baum Hedlund Aristei Goldman attorney Brent Wisner, one of the attorneys representing Johnson, said in an interview that jurors asked to speak in private with Johnson after the verdict was announced. In a statement issued after the verdict, Monsanto reiterated the safety of Roundup and denied it caused Johnson’s cancer. Attorneys for Monsanto did not reply to a request for comment on Friday. Johnson, 46, sued Monsanto in 2016 after he was diagnosed with mycosis fungoides, a skin-based non-Hodgkin lymphoma that caused cancerous lesions to form over most of his body. His lawyers argued during the four-week trial that Monsanto has known for decades that Roundup is carcinogenic. They told jurors Monsanto didn’t include a cancer warning label or instruct users to wear protective clothing for fear of disrupting its $6.6 billion global business. Since Roundup’s active ingredient glyphosate was declared a probable human carcinogen in 2015 by the World Health Organization’s International Agency for Research on Cancer, hundreds of lawsuits have been filed in the United states claiming Roundup causes non-Hodgkin lymphoma. Johnson’s case is the first to go to trial because he has less than two years left to live. Friday’s verdict could presage future ones, including 400 recently cleared for trial in San Francisco federal court. The judge presiding over those cases called the plaintiffs’ scientific evidence “shaky” and “weak.” But Wisner, who will help try those cases, expressed confidence after Friday’s outcome that the federal plaintiffs will prevail. “It should be a clear signal that the science is not shaky, that it’s not weak, that its compelling; it’s actually overwhelming,” Wisner said. Monsanto insists Roundup is safe. At trial, it argued the herbicide could not have caused Johnson’s lymphoma because cancer takes at least 2.5 years to develop, and Johnson used Roundup for just one summer spraying season before developing symptoms the following fall. The company instead suggested Johnson’s illness was inherited. Johnson contemporaneously developed squamous cell carcinoma, a skin cancer unrelated to mycosis fungoides and rarely found in African-Americans. That, along with a greater prevalence of mycosis fungoides in the African-American population, prompted Monsanto to argue Johnson would have gotten cancer whether or not he used Roundup. The science on a link between glyphosate and non-Hodgkin lymphoma remains murky. Some researchers say studies finding a link suffer from measurement errors and design flaws, overestimating the cancer risk. Others criticize studies finding no link for using statistical methods they say underestimate risk, and have accused regulators of ignoring guidelines for the evaluation of herbicides. Monsanto says repeat studies and reviews by regulators around the world, including the U.S. Environmental Protection Agency, found no evidence of a link and therefore no cancer risk warning is necessary for Roundup. But Wisner said Monsanto may soon be forced to include one. Glyphosate is the most widely used agrochemical in history. Monsanto introduced it in 1974, and its use exploded in 1996 after the company began selling “Roundup-ready” seeds engineered to resist the herbicide. More than 2.6 billion pounds of the chemical were spread on U.S. farmlands and yards between 1992 and 2012, according to the U.S. Geological Survey.